How High’s the Water, Mama? Three Feet High and Risin’! Happy end of June, everyone! I am really showing my country roots and age with the heading of this blog! For those of you unfamiliar with this lyric, it was a song recorded by Johnny Cash and June Carter back in the sixties. I was a mere child (I really was!) and my dad loved Johnny Cash so I was exposed to this genre of music from a very early age. It somehow came flooding (no pun intended!) to the front of my mind due to the extreme weather conditions lately. Summer is here and I believe the monsoon season is upon us. Rain, rain, and more rain. In our area, we are 5″ above the ‘normal’ (whatever that is!) rainfall for June. 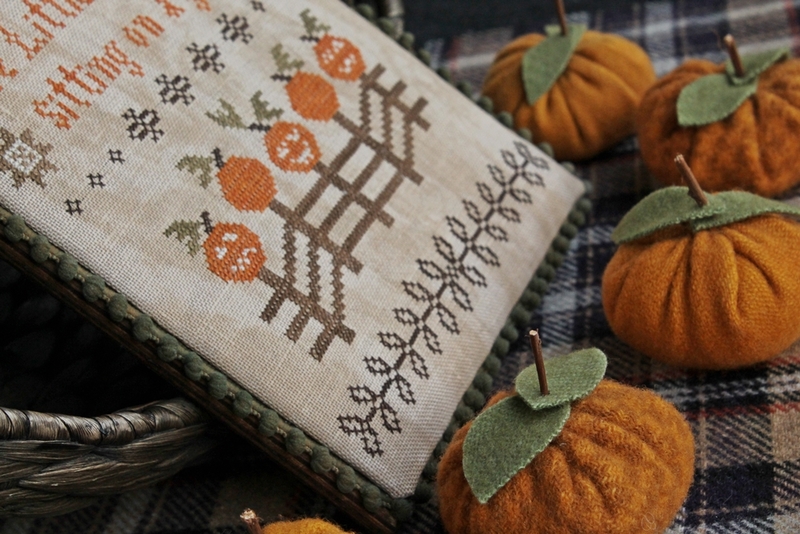 So, I have been remiss in stitching and in posting. Having a finished lower level (read: basement) and having suffered from water backup three times previously, my time has been spent running up and down the steps to make sure that the water is staying outside. If nothing else, my legs are getting a good workout. The good news is, NO WATER! YET! So, in between trips to check on the water level, I did manage to complete a small finish. This chart was posted by me a while back as a freebie from The Primitive Hare. She had suggested completing it in either dark reds or navy blues. The reds go better with my decor. I have one-third of my ‘Mystery Sampler’ completed. What fun it is! I mentioned in my last blog, that if you haven’t participated in one of these yet, I really do encourage you to give it a shot! With the Fourth of July upon us, I thought it would be appropriate to offer a couple patriotic freebies. 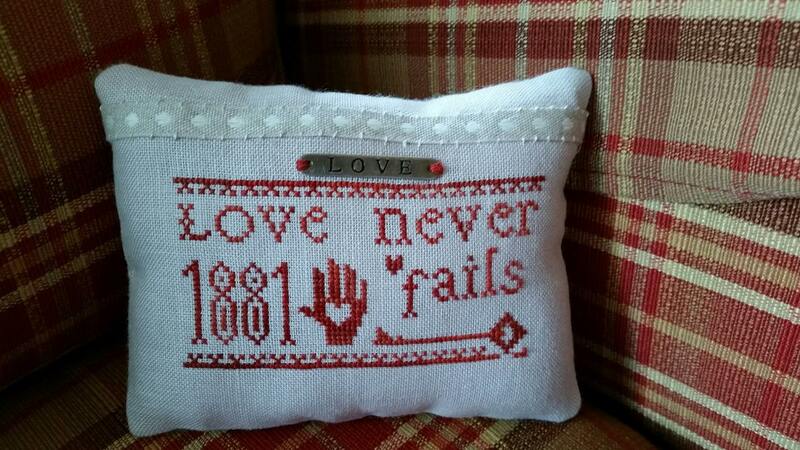 I’ve included a nautical themed one for our coastal stitching friends or ‘just because’. 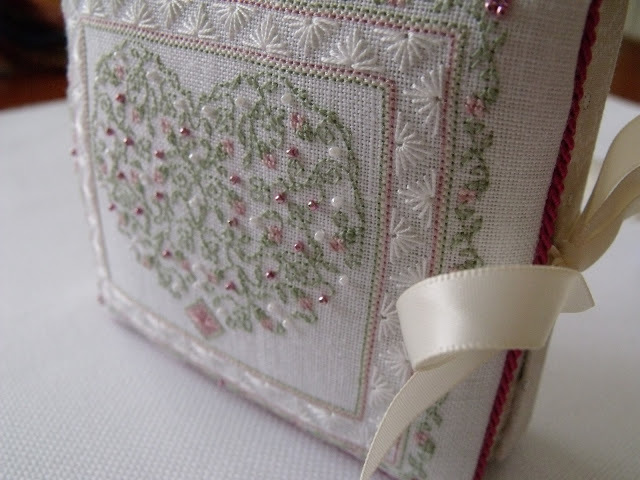 Now, remember, I blogged about adding some pizzazz in the form of beading to your work? These small projects may be just the right sized projects for you to give it a try. 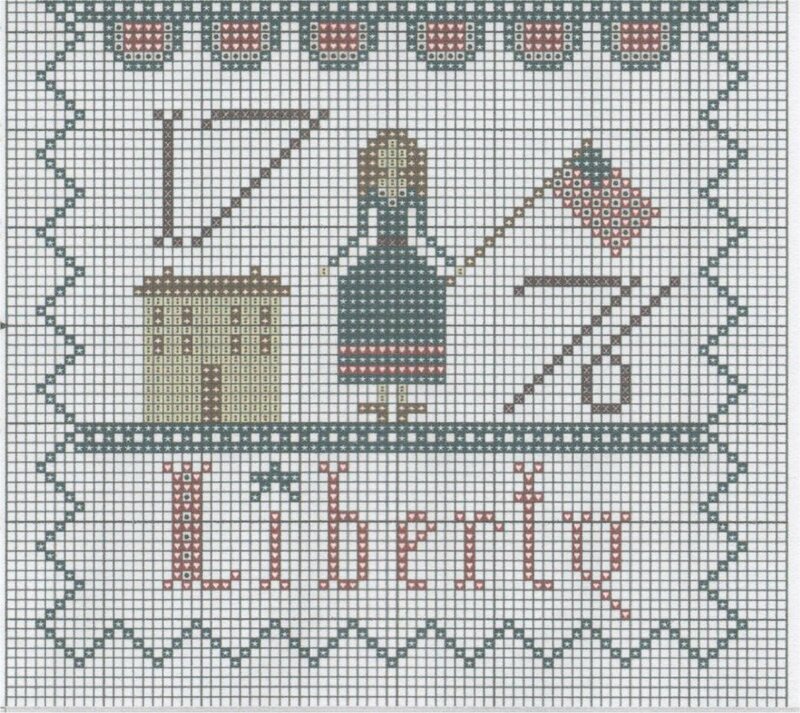 In the Liberty chart below, I would suggest adding some beading to the ‘dot’ in the i. Just a little. See how you like it. Remember to right click on the charts, click on copy, then paste into another window where you can resize the chart to meet your needs. Have a safe Fourth of July, and, remember, if you love your freedom, thank a veteran. Until next time. The Fair Maid Who the First of May Goes to the Fields at Break of Day…..
Good day, fellow stitchers (and aspiring stitchers)! 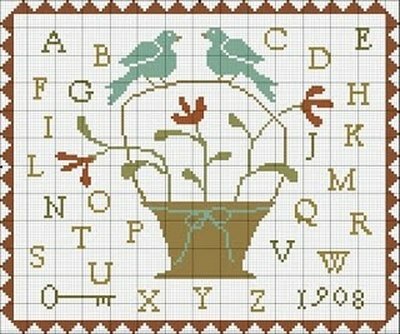 I stumbled across this beautiful free cross-stitch pattern, designed and donated graciously by With Thy Needle and Thread, It reminded me so much of summer that I wanted to share it with you. 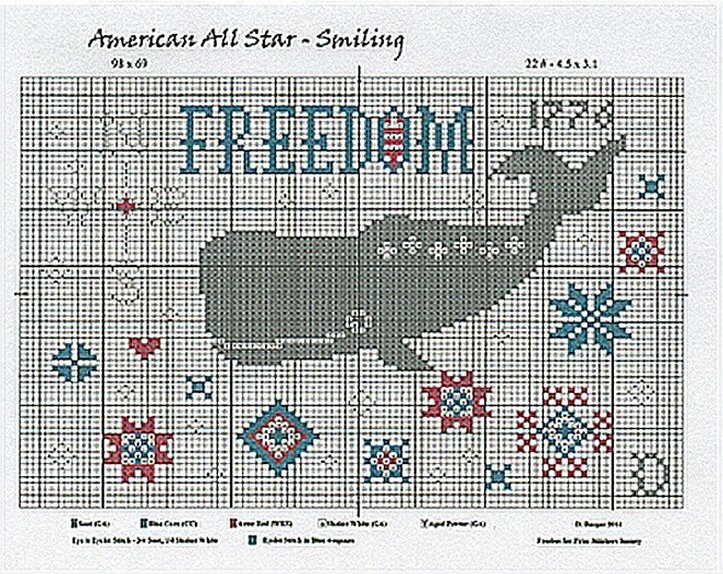 The title of the pattern is May Day Sampler. I will be starting the design on Wednesday. I have a project that I adore that I am in the process of finishing now. I don’t normally like to have too many needlework projects going at once. For me, it seems that NOTHING ever gets completed when I do have too many irons in the fire. Here is the file for the free chart: You will need to highlight the link below. Right click on ‘Save link as’, then save file as : May Day Sampler on your computer. Locate the file, then click on it and resize it to about 50%. Print and start stitching! Have you ever heard of a Mystery Sampler? This is a really neat idea for those of us who like surprises. This is a series of patterns (usually at least 3) that are released one by one, spread over a period of time. So, the finished product is a ‘mystery’ until you receive all the patterns. The first pattern will tell you how big your fabric should be so you have plenty to finish all the pieces of the ‘mystery’. I have my first pattern to start and I do know that it is a Christmas themed series. I can’t wait to see the rest of the patterns. If you haven’t tried a Mystery Sampler, give it a shot. I think you will find it intriguing. Until next time, and, as always, be kind to each other. To Bead or Not to Bead….That is the Question…. Hi folks. Hope you are enjoying your summer. I am going to venture into a different area of stitchery today. As my followers know, I usually stick to primitive needlework projects, but I do love the elegant look of projects with beading on them. If you haven’t tried beading, it does require a little patience and practice. The dimensional addition of beads to any project is worth the extra time it takes to complete. The beads I prefer to work with are glass beads and they come in many different colors and sizes. A great source for all types of beads is Mill Hollow Beads. Their website is http://www.millhillbeads.com. Now, if you would prefer a kit that includes all your floss, the fabric or perforated paper (yes, I wrote PAPER), and coordinating beads there is this fabulous online store called 123stitch.com. Their prices and shipping are extremely reasonable and I receive my products in a very short time after placing my order. They carry a complete line of kits with beading. Most of them are Mill Hill Brands. So, I encourage you to get out of your comfort zone, and check out a beaded project. This is one that I thought was just beautiful. Perhaps it will inspire you. Until next time. Be kind to each other.